Are You Following These 12 Prolific Construction Bloggers? Make no mistake, the world of construction is changing. Digital technology is reshaping the industry in ways we never thought possible 50, 25 or even 10 years ago! This transformation, once complete, will completely alter the way we think about construction. Whether you're just beginning your career, or already have decades of experience under your belt, it's fair to say that digital tech will revolutionise your career very soon! That's why it's important to keep up to speed with the latest developments in construction recruitment and technology, as and when they happen. You'll be pleased to learn that all the information you need is readily available online - if you know where to find it! If we could give just one piece of advice to our readers in the industry, it would be to follow a few reputable construction bloggers. Putting aside half an hour a day to read up on the topics that matter to your career will help you to future-proof your knowledge, and ensure you're fully prepared to embrace the challenges that a digitally-driven construction industry will bring. The best bloggers to follow will depend on your speciality and career ambitions, but to help make your search as simple as possible, we've compiled a list of 12 standout bloggers that we believe are currently offering the very best in digital insight, marketing expertise and unique value. We hope you'll find a few new favourites on our list! Andrew is the Managing Director at BAM Design and joined the company in 2012. Prior to this, he has worked as Director and Project Lead at James Stirling, Michael Wilford & Associates, and John McAlson & Partners. In addition to writing for the BAM blog, Andrew also contributes commentary and editorials for national and trade publications, and has been a keynote speaker at several prominent property industry conferences. He also has a slew of high-profile projects to his name, including The Lowry (Manchester), No 1 Poultry and the Royal Academy of Music (London). Andrew is one of the main contributors to the excellent BAM blog. His posts focus on manufacturing, smart cities and campus designs, and many of the other challenges faced by the construction industry. Other topics covered include technological changes (and how we can adapt to them) and diversity within the industry. Why should I follow his blog? If you're interested in the design aspect of construction, particularly BIM (Building Information Modelling), then Andrew's blog should definitely be on your follow list! His blogs cover many aspects of design, including integrating sustainable designs, lean construction and full FF&E (Furnitures, Fixtures and Equipment) solutions. Key ideas are presented in a clear, interesting and engaging way, with a good use of photographs, charts and infographics. Kayley is an experienced content marketer, currently based at Pauley Creative - a marketing agency catering exclusively to the construction sector. She works with a wide range of construction businesses, helping them to achieve their marketing goals through content and PR campaigns, in addition to managing Paul Creative's own marketing strategy. Her blog in a nutshell? The Construction Marketer's Blog covers a wide range of marketing topics, including social media, SEO, email marketing, lead generation, key industry events and public relations. Pauley Creative works with three types of construction organisation: smaller independent building product manufacturers, divisions of corporate organisations and larger, specialist contractors and installers. Their blog offers hints, tips and marketing wisdom to suit all three business models. Interviews with leading industry figures also appear from time to time! If you want to further your understanding of digital marketing best practices and learn about the latest industry trends, this blog is a must-follow. Kayley's enthusiasm for marketing, communications and the future of digital shines through in every post! The blog is presented in an appealing way, with just the right blend of text, videos and lively images to keep readers informed and entertained. Matt is the Director at MCMS Ltd and a seasoned construction professional, with almost 30 years' industry experience and a strong background in construction law. He is a Fellow of the Chartered Institute of Arbitrators, and a Practising Member of the Academy of Experts. Matt has been appointed as Adjudicator on more than 300 occasions and has dealt with construction and engineering disputes to the value of up to £87 million. His blog in a nutshell? The Practical Law Construction Blog covers a wide range of legal topics, such as arbitration and changing industry guidelines, and also presents an expert analysis of prominent cases. Matt's posts are detailed, well researched and full of insight...with just a sprinkling of humour. He offers commentary on high-profile cases, helping construction businesses learn from others' costly mistakes and improve their safeguarding.If you want to keep in the loop about the latest construction law practices, the pitfalls to avoid, and some of the more intriguing construction cases that go to court, Matt's your man! Josh writes for MyBuilder.com - a trusted directory of UK tradespeople. He has a strong background in web marketing, publishing and reporting, and utilises these skills to create impactful construction content! Josh is passionate about storytelling and writing content that gets results! MyBuilder Blog regularly features profiles of tradespeople telling their stories, in addition to advice for homeowners and landlords. This blog is a good resource for independent builders, tradespeople and consumers alike. The regular profiles of tradespeople always make for an interesting read, showing the human side of the industry! Anyone aspiring to start a construction blog of their own will find plenty of lively content ideas here. What's more, if you're a tradesperson and would like to tell your story, you may even want to reach out to Josh! Stephen is the Marketing Manager at Yale - one of the UK's leading manufacturers of home locking and security products, and suppliers to the housebuilding industry. He has over seven years' experience delivering high-impact B2B (Business to Business) and B2C (Business to Client) marketing strategies. Today, Stephen has established himself as a prolific marketer and blogger; his work is regularly featured on the popular Builders' Merchants News site. Stephen writes on a variety of industry topics such as home security, marketing, sales and lead generation- all from the perspective of a leading supplier. His blogs offer a good mix of statistics, practical advice and marketing expertise. If you're a builders' merchant searching for marketing inspiration, it's worth checking out Stephen's blogs. He provides an insight into Yale's business and marketing strategy and also offers advice to businesses purchasing Yale products on how to effectively market their products to their clients. Based in Helsinki, Finland, Aarni is a veteran of the construction industry and passionate about innovation. He began his career as an architect in the mid 80's, and started as an internet entrepreneur in 1998. Today, Aarni is a well-respected author, blogger and podcaster. He is currently a partner at Thinking Portfolio - a company specialising in the development of online tools for project and service portfolio management. Aimed at the construction industry's 'game-changers and innovators', the AEC Business Blog focuses on the sector's latest technological innovations and trends, such as BIM (Building Information Modelling), virtual and augmented reality, and even on-site robotics! Why should I follow this blog?The AEC Business Blog offers a rare glimpse into the future of construction technology! Aarni is passionate about all things tech and his desire to find innovative solutions to the industry's big challenges is contagious. The blog is updated at least once a week and packed with intelligent commentary on the latest industry trends, as and when they develop. So, if you want to stay ahead of the curve, hit the 'Subscribe' button! "We’re living in exciting times when it comes to construction. BIM, digital fabrication, robotics, virtual reality, mobile technologies, and the Internet of Things will redefine how we design and build. I encourage astute professionals to be open to new ideas, experiment, and learn. There are many great resources online that help you stay ahead of the curve. On my blog and podcast, I share ideas, news, and insight from trailblazers. 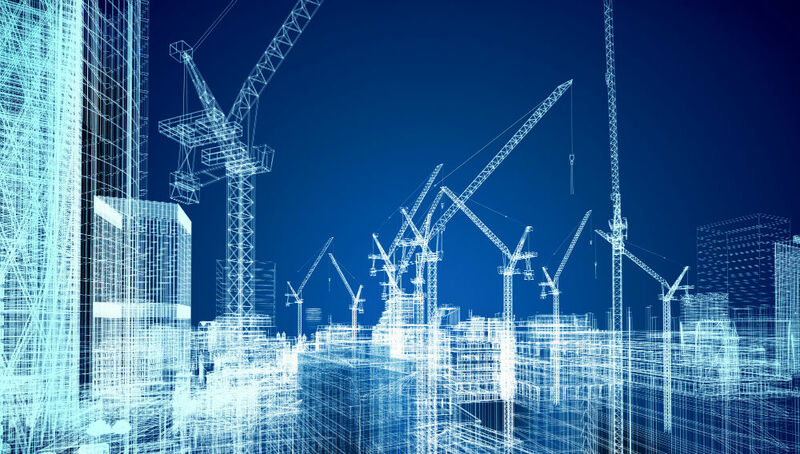 I hope you can join me in redefining the construction industry of the future!" Monica Shepherd is a copywriter, digital marketing expert, and regular contributor to the WorkflowMax blog. WorkflowMax is a professional workflow management software designed for builders, engineers, architects and digital creatives. Monica regularly shares her expertise with thought-provoking posts relating to work, life and productivity. The WorkflowMax blog is well worth a follow for anyone with an interest in optimising time management and construction marketing.You'll find a good mix of inspirational material, marketing wisdom and industry trends. Monica's posts demonstrate an impressive knowledge of engineering, the construction industry and digital marketing - with just the right concentration of humour! She knows her stuff too; her strategies have helped smaller businesses to grow. Monica is just one of many contributors to this blog, which is an expansive and valuable resource, not just for construction professionals, but for any business or individual who wants to push their productivity to the limit! The site is packed with a plethora of free resources, including webinars, e-books and much more. Check it out! Kevin Ahern has been the President of Litchfield Builders since 1996 and specialises primarily in residential remodelling, green building, and adapting homes to help elderly residents live independently. He is an experienced builder and an accomplished blogger to boot. Kevin is the main writer for the Litchfield Builders blog and shares his expertise on a range of residential design, remodelling and commercial construction topics. The Litchfield Builders blog covers both the residential and commercial sides of remodelling and renovation. The posts are aimed primarily at prospective clients, but if you're in the trade, you'll find a wealth of ideas to use in your own marketing materials. The Litchfield Builders Blog serves as an example of construction content marketing done well! The posts have a friendly tone, connect well with the intended audience (homeowners and commercial clients), and strike the balance between being informative and entertaining. It's also worth noting that the blog utilises subscription incentives very well; users that subscribe receive a free remodelling toolkit to help them get the best return on investment for their home projects! Stephen Hamil is currently the Director of Research at NBS - a leading UK construction software company. He was also Project Lead for the development of the BIM Toolkit on behalf of the UK Government's BIM Task Group. Stephen is an expert in full life-cycle commercial software development (.Net Windows and Web applications) and all aspects of BIM, including linking the building model with the specification model. The Construction Code blog provides detailed coverage of BIM events, along with tutorials on publishing specifications, and the BIM toolkit. The blog is modern and easy to navigate, offering a good mix of screenshots, photographs and video content to help construction professionals get the most from their BIM software. Getting to grips with the techier side of the industry can be difficult, but the free resources available on this blog should help building professionals at any level make a good start! Stephen is a leading figure in the construction industry's social media sphere; he was named a Top 10 #BIM Tweeter by Building Design and a Top 13 BIM Blogger by arch2o! NBS' user community and anyone wishing to learn more about BIM will find plenty of useful material here. Daniel is the Marketing Manager at Project Resource - a recruitment agency specialising in supplying white-collar professionals to the construction and infrastructure industries. He is also the author of the Project Resource blog which offers news, views and career advice to construction industry workers. This accessible, informative blog touches on many of the challenges faced by construction professionals, including the latest developments within the UK industry, work/life balance, the pros and cons of freelancing, and construction recruitment news. Project Resource's blog is a worthwhile read if you're an aspiring or established white collar construction professional and want to make your next career move, or simply stay up to date with the latest industry trends and best practices. You'll also find resources aimed at construction businesses hoping to recruit new talent. "The best advice I can give to construction professionals who want to succeed and progress in the industry is to stay up to speed with new technologies and techniques. Innovation never sleeps, so it is important that you are constantly on the lookout for the latest advancements and changes. My top tips on how to do this would be to read articles from respected sources, follow industry leaders on social media and be open to learning new techniques and technologies. Doing these simple things regularly will help you to increase your value within your company, knowledge of your industry, and to stay ahead of the competition. On top of this, a good employer or manager should be open to listening to new and innovative ideas from their team. So making sure you keep up to speed with the ever-changing technologies in the construction industry is only going to help you bring great ideas to the table and impress your employer...and who doesn't want to do that?" Duane is an experienced blogger and independent publishing professional with more than 10 years' experience writing on construction and a variety of other topics, including technology, finance, food, agriculture and broadcasting. He is fascinated by multimedia and finding creative approaches to storytelling. The Construction Informer blog covers many of the issues that matter to today's industry professionals, from on-site safety, to emerging architectural trends, how to successfully manage a construction business, and strategies for creating more leads with content marketing! The Construction Informer blog placed third in CIT Direct Capital's 'Top 50 Construction Management Blogs' (http://blog.directcapital.com/business-insights/top-construction-management-blogs/) list. Follow Duane's blog today for practical, common sense advice, news, commentary and insight from one of the industry's leading voices! "There are tons of compelling stories in construction that can inform and inspire audiences. And, that's what content marketing is all about - the audience. Tell truthful, authentic, balanced stories, and the marketing will take care of itself." Recommended Reading: Laser Scanning and 3D models - As Built Verification for the Masses! Lee is the Technical Specialist for Northern Europe at Autodesk - a leading developer of design and modelling software. (Their range includes popular titles such as Maya, 3DS Max, Fusion 360 and Sketchbook.) He is experienced in developing workflows for a wide range of construction and engineering projects, including factory, automotive and product design. Digital modelling technologies are playing a bigger part in the construction industry than ever before. The Beyond Design blog delves deep into the finer details, helping users get the most out of the industry-leading Autodesk design software packages, as well as bringing them the latest news on industry events, and the development of the tools and software that will shape the world of construction in the years to come! Why follow him? Writing for the Beyond Design blog, Lee shares his knowledge and expertise on the latest construction and design practices, including new ways to verify 3D Cad and BIM models for real-world application. You can now view your 3D models with 360 Realviews - an augmented reality tool that allows you to accurately envisage the finished project. Why should you follow Beyond Design? To make sure you can take full advantage of the latest exciting BIM innovations in your work! We hope you've found a few new go-to bloggers for your daily construction news fix. Remember, this list is by no means exhaustive so if you know of a gifted building industry blogger who isn't featured on our list, please let us know. And, if you happen to be a budding construction blogger, please make yourself known - we may want to feature you on our site in the near future! It's an exciting time for the construction industry, as more and more professionals are showcasing their work and expertise online for the world to see. The bank of resources available for builders to learn, share and network continues to grow. But, have we really seen what digital tech can do for the industry? Or, is the best yet to come? Within many industries, the digital boom has sparked nothing short of a revolution! In recent years, web and app development start-ups have popped up and thrived in towns and cities across the nation. Service-driven industries are now more tech-focused than ever before, with companies of all sizes engaging with customers via social media. However, we believe that when it comes to embracing digital technology, the construction sector is still very much in the awakening stage, and its full potential is yet to be realised. According to this article by McKinsey & Company, the construction industry has been slower on the uptake, and remains one of the least digitised. According to the data, construction, agriculture, hospitality and healthcare firms have all been slow to adapt, while ICT and media-based companies are predictably more digitally-savvy. Their research also highlights that construction labour productivity has fallen behind overall economic productivity. Could the industry's reluctance to go digital have played a part in this? Many people still see construction as a manually focused industry, and this may explain why the construction blogosphere is comparatively smaller than other industries'. Nevertheless, in recent years, a growing number of digital construction influencers have emerged, keeping their readers in the loop about the latest industry trends, and arming them with the knowledge they need to digitise their own businesses! Construction's move towards digital has heralded several major breakthroughs such as 3D printed houses, fast bricklaying robots and the development of smart cities! Whichever line of construction work you're in, it's clear that if it doesn't already, digital technology will play a major role in your working life in the years to come. What we've seen so far merely hints at the possibilities that a digitally-led construction industry will create. For instance, even at this early stage, 3D printing building components allows for massive savings on time and labour costs. We're calling it now: whoever builds the eighth wonder of the world will utilise digital tech in a big way to give life to their vision! The prospect of adapting to radical new technologies may be daunting, but fear not; there's a wealth of useful, accessible information available, courtesy of the new wave of digital construction bloggers! For our final thought, if you're a construction professional at any level and want to get ahead of the curve, it's well worth considering starting your own blog - if you haven't already! A blog will provide you with a platform to document your career for the world to see, have your say on the industry issues that matter to you, and perhaps, eventually, to establish yourself as an expert and influencer in your own right! If you're a novice writer and feel a little anxious about taking the plunge, please take a moment to read our recent article about blogging to drive your career. As you've seen from our list, many construction businesses are now seeing the benefits that a good content marketing strategy can bring. The number of active bloggers is on the increase, so you should strike while the iron is hot! Just think, it costs nothing to get started, and your work will have a potentially limitless audience of industry contacts, prospective clients and employers. If you have the drive to hone and craft a blog that truly brings something new to the table, who knows where it could take you? Thanks for reading. If you enjoyed this blog post, we'd really appreciate it if you took a moment to share it. We'll be back very soon with more of the latest news, views and commentary from the world of recruitment, HR and digital.